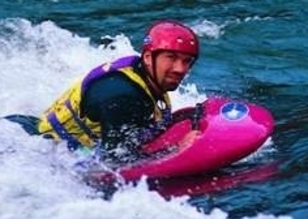 We rent a variety of tandem and solo canoes, kayaks, sit-on-tops and river boards. Nearly all are constructed of durable ABS plastic to hold up to the rigors of the creek. Life jackets, paddles and reusable river bags are included for each boat. Rental also includes free parking, access and shuttles to and from the river. The Most Competitive Prices In The Industry! We accept payment via cash, personal check, credit card and Paypal. Unlike many outfitters and liveries we don't charge extra for parking, access, shuttles, paddles, life preservers, bags and such. They are included with every boat rental. Moreover, shuttles on the Cadron go fast and are on paved roads so you can spend more time on the river and less time packed in a van or bus bumping down a long dusty road. If you already have your own boat and equipment we may still be of assistance. Please consider spending more time in the company of friends by allowing us to help you with a shuttle. And, be a good steward of the earth. The best way to make reservations is via our website. The next best way is via e-mail: cadronboy@sbcglobal.net. Leave a message and maybe it will work out. we say they are confirmed and have your deposit in hand! Confirmation will always be made in writing via either a text, e-mail or letter. Reservations. Reservations are strongly recommended. Our season is short and availability is limited. Without a confirmed reservation we can offer no assurance that access or equipment will be available upon your arrival. A deposit of $10.00 per campsite, $25.00 per boat or $50.00 per cabin is required to hold a reservation. Paypal, Visa, MC, personal checks and money orders are accepted. Boats will only be held until 11:00 a.m. of the reserved date unless notified of later arrival. Sorry, absolutely no refunds. Age Restrictions. No children under 4 years of age are allowed in a boat at any time. No one under 8 years old is allowed in a boat at river levels above 3.5 feet and no one under 16 years of age allowed without adult supervision. Age limits are subject to change due to water level on the day of your rental. If we feel it is not safe we will NOT put kids on the creek. Experience. EVERYONE IN A BOAT MUST BE ABLE TO SWIM! If you cannot swim please inform us so that we can make arrangements to assure your safety and well-being. 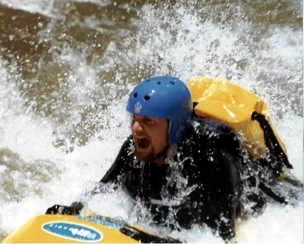 While some reaches on Cadron Creek are hazardous due to hidden obstacles, treefall, rapids, deep water, hidden currents and tall standing waves there are also reaches on the Cadron and its tributaries that are far more suitable for novice paddlers and those unable to swim to safety. Let us help you make your adventure on the Cadron both enjoyable and safe. Renter Liability. All renters are required to sign a release/liability form in person upon checking in at Cadron Creek Outfitters. Renters are responsible for the care of the boats and equipment until it is back in our possession. Normal wear and tear is expected but all other damage including lost paddles and jackets must be recompensed in full by the renter. Payment for damaged or lost equipment is due immediately. Responsibility. Please understand that boating on Cadron Creek is a potentially dangerous activity. We can provide you with the best equipment and advice available; but, once you leave the shore your skill and good judgment take over. We have no control over the obstacles you may face while on the river so please exercise caution. All guests are required to sign a liability release. Refunds. A full refund will be made with at least a 5-day notice in advance of your scheduled trip OR if Cadron Creek is deemed "too high" (≥ 5 feet) or "too low" (≤1.5 ft) for paddling. NO refunds otherwise. Rainchecks: WE PADDLE RAIN OR SHINE! NO trips will be called off and no refunds will be given due to overcast skies, light rain, heavy rain or possibility of rain. Rainchecks will be issued ONLY if the National Weather Service places Cadron Creek under a severe storm warning or flood advisory on the day of the reservation. Rainchecks are valid only until the end of the calendar year in which they are issued. Pick-Up and Return. Boats and/or equipment may be picked up after 8:30 a.m. and MUST be off of the creek by 7:00 p.m. Those camping at Cadron Creek Outfitters may make arrangements for earlier pick-up and/or later take-out. Otherwise, any boats/equipment not returned to Cadron Creek Outfitters by 8:00 p.m. will be reported as stolen to the Faulkner County Sheriff's Dept. DO NOT LEAVE BOATS/EQUIPMENT UNATTENDED. Off-Site Retrieval. We expect all boats to be returned to the designated take out. and there is an off-site retrieval fee of $100.00 for any canoe left on the creek that we have to recover. If you broach or wrap your boat around a rock or tree get away from it as quickly as possible so that you don't get pinned in the water. Be careful -- trying to free a broached boat is often both tricky and dangerous -- you may even do more damage to the boat or get someone hurt. If you have a cell phone notify Cadron Creek Outfitters as quickly as possible so that we may retrieve the boat and assist you in getting off the creek. Overland travel can be very difficult. If you don't know exactly where you are it is probably best to stay near the boat. If you catch a ride to the take-out in another boat make sure to flag the location and bring your paddles and life jackets with you. If the boat cannot be retrieved or is damaged beyond repair you will be assessed the full replacement value of the boat. Pets. We love pets! But only if they pose no menace to man, child or creature and can contain their enthusiasm for food and trash. You are responsible for your pet at all times and will be asked to leave if your pet misbehaves or disturbs our guests. Please keep your pet on leash while at the store or on shuttle. Be prepared to get wet. Cadron Creek is constantly changing, washing away old obstacles and creating new ones. Be especially cautious around strainers and downed trees. Canoes cannot run tree hazards and strainers so avoid these at all times. Portage if necessary -- even if it means you must drag a boat overland through the woods. Keeping warm is important. Blue jeans will NOT keep you warm if they are wet -- and they will be! If it is chilly bring fleece, wool and polypro. A waterproof bag with dry clothes can certainly be nice. There are no bigger hazards on the Cadron than a mismatch between the river's challenges and the paddler's abilities. Make good decisions and don't overestimate your skills. so that you may focus on its marvelous works and wonders.